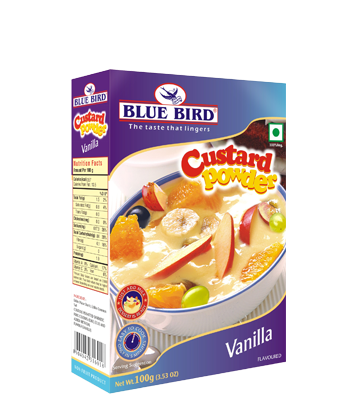 BLUE BIRD Custard Powder is 100% vegetarian with absolutely no egg content. It can be had plain or with jellies, fresh or stewed fruits. It can also be served with truffles, cakes and pastry fillings.